All stocks have at least five years of dividend growth history. 12 increases for next week (versus 42 last week). An average increase of 9.5% and 4 have at least a 10% increase. 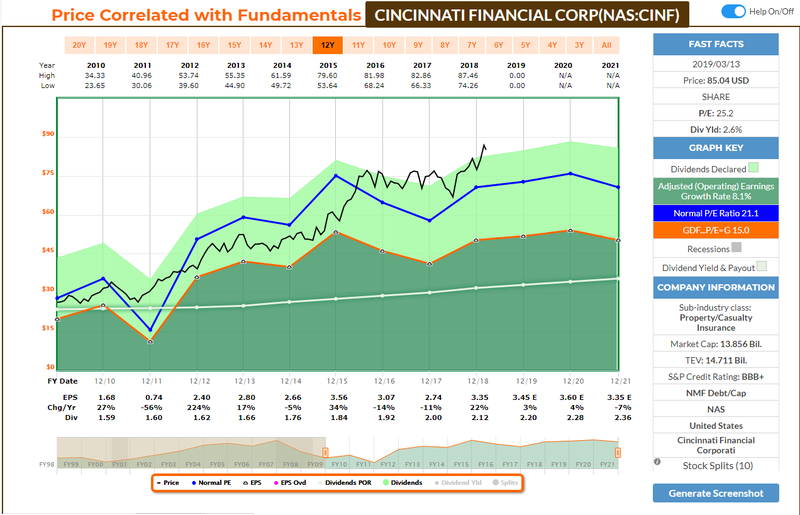 Dividend King Cincinnati Financial is raising for their 59th consecutive year. I'm a huge fan of dividend growth stocks and hope you are too. If you do, you are in the right place! I've compiled a list of stocks that are increasing their dividend next week. This gives investors an opportunity to start or add to a position to capture an upcoming payment. This can be especially important for retirees who live on dividend checks. This list is a trimmed-down version only covering dividend increases. A full upcoming dividend calendar is always available here. If you know how this was built and the caveats, feel free to jump down to the lists themselves. 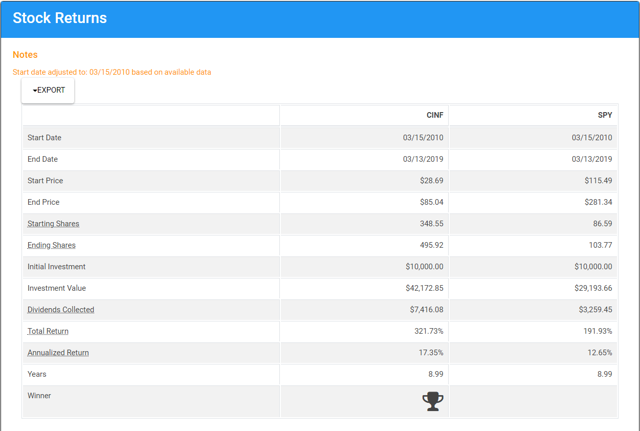 Streak: This is years of dividend growth history sourced from the U.S. Dividend Champions spreadsheet. Here's a table mapping the new rates versus the old rates. It also reiterates the increase percentage. This table is sorted the same way as the first table (ex-dividend day ascending, dividend streak descending). Here are some additional metrics related to these companies, including yearly pricing action and the P/E ratio. This table is sorted in exactly the same way as the table above. The value investor may find stock ideas with those companies near their 52-week low. They may provide a larger margin of safety and inflated yield. Some investors are more interested in current yield, so this table is sorted descending by yield. This also includes some of the historical dividend growth rates as a bonus. Additionally, the "Chowder Rule" has been included, which is the current yield + five-year dividend growth rate. I swapped back in the old rates from the CCC list as I work out some kinks with my own calculated rates. Dividend King Cincinnati Financial is the highlight this week.Coca-Cola gets the spotlight this week. They offer insurance products through their different business segments. With the premiums they maintain a portfolio of investments. Shares are perennially expensive. That's the price you pay for owning a company that raises its dividend year in and out. Shares are trading over 25x adjusted earnings right now and given the muted earnings growth expected this year, look to be rather overvalued. From SimplySafeDividends, the company scores in the 69th percentile for safety with both growth and yield only beating about 40% of other companies. Running a stock return calculation between CINF and the S&P (SPY) since March of 2010, Cincinnati Financial has bested the S&P by about 4.5% per year. That difference has resulted in 130% difference in total investing returns and more than double the dividends received. The blue trendline, representing CINF, was virtually better than the S&P the entire time since 2010. This was also coming out of the recession after shares fell over 50%. As always, do your due diligence on any stock before buying or selling. Happy investing!